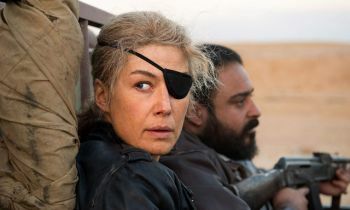 This biopic charts 10 years of Marie Colvin’s (Rosamund Pike) life as a war correspondent for The Sunday Times. As she becomes even more celebrated, she pushes herself into further dangerous situations whilst also trying to come to terms with the traumatic experiences she has witnessed in conflict zones around the world. It’s nice to see a film reignite what journalism is meant to be about. This movie sits alongside the likes of ‘All the Presidents Men’, ‘Under Fire’, and ‘Teenage Mutant Ninja Turtles II: Secret of the Ooze’ in representing the power that good investigative journalism can have. Arash Amel delivers a tight script but its main strengths can also be its weakness. Most of the screen time is spent in war-torn regions. But it sidesteps the politics behind the various wars. They really want to focus on the human cost of the conflicts and it certainly does this to a gut-wrenching degree. However, without much political examination, it leaves out the sheer amount of human life that has been lost to war in the 21st century already. Bush and Blair get passing mentions but heavier chastising of global powers is found wanting. None of the running time is spent dealing with the fact that “she is a woman in a man’s world” and that is hugely refreshing. Like any good protagonist, she is flawed and complex and the film does a good job of communicating this without relying on hackney dialogue. Though overall, it’s not a detailed character study as it only really focuses on her war reporting and the effect that had on her when not in the combat zones of the world. 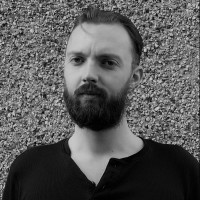 The scenes set in London are partly to help break up the tension but also show Colvin’s PTSD. Again, this focus works and it doesn’t - it really helps to keep the film on message, but we get to see very little of the charming soul she was outside of the conflict zones. The fact is the film falls a little short in really communicating how much of a stone-cold badass Colvin was. 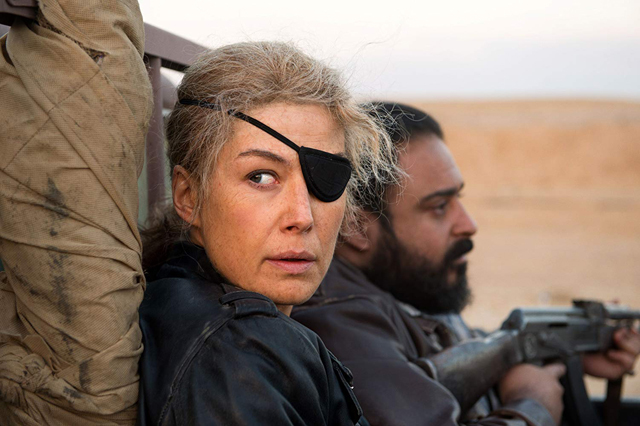 The film's time-frame starts after she directly saved the lives of 1,500 woman and children, and glosses over the fact that despite losing an eye, she still filled her copy on time. This is more a testament to the woman though than a failing of the film. Rosamund Pike is completely phenomenal and captures Colvin perfectly. Near the end of the film when we hear Colvin speak in her own words, it is completely indistinguishable from Pike’s. Tom Hollander also does a great job of playing her editor who manages to juggle both being sympathetic and what you’d expect from a slimy newspaper editor. This is director Matthew Heineman’s first feature-length drama. Coming from a documentary background, there is a great sense of movement in a lot of scenes that really capture the fear of bullets whizzing overhead. The film has a great rhythm and the time flies by, all the while trundling to the inevitable conclusion, so you don’t want it to end. ‘A Private War’ is a great tribute to an incredible human being whilst also helping to carry on the legacy of what Colvin achieved in her fearless journalism.